Happy St. Patrick’s Day! I hope you’re wearing your green so you don’t get pinched! I’m celebrating in shades of spring greens and with sweet treats! Spring Greens for St. Patrick’s Day! Sweet Treats: If you’re in the greater Sacramento area and need of sweet treats for your next special occasion you definitely have to check out Baking With Tea in El Dorado Hills. A home grown baker with all natural organic ingredients who bakes with tea! Her treats are so delicious and unique! I used her for my bridal shower (tea party! ), work functions and more! Be sure to like her page/instagram because her pictures and personality are as sweet as her desserts! Baking With Tea Cupcakes for St. Patrick’s Day Treats! The problem with fall new arrivals is it’s still summer! Lucky for me the new fall arrivals from mark. have quite a few items you can wear now and later! I’ve already highlighted how to update your beauty (see here) but as far as fashion my top pick is this mark. Everything Goes Shirtdress ($40). It’s the perfect wear now, wear later item! First, let me just tell you, as a working girl how important having a shirtdress in your wardrobe is. Not only does it work for pretty much any occasion or situation but its SUPER easy to pull off. Just slip it on and instantly be put together. The versatility doesn’t stop there, you can pretty much wear it with any shoe from sandals to flats to pumps to boots! (there’s where that wear now wear later comes in). For transitional pieces jewel tones are a perfect pick like the emerald green in this mark. Everything Goes Shirtdress. mark. Everything Goes Shirtdress blowing in the summer breeze! Happy St. Patrick’s Day! Hope you’re wearing your green so you don’t get pinched! I def am taking any reason to theme out the day in my green white and gold! For today’s festive mani I used Julep Lucky on my ring and thumb (green glitter also worn last year! ), for my middle I used mark. Nailed It in Gleam Scene and for my pointer and pinky I used Essie White Out with that same Julep Lucky dotted on! Green White and Gold Mani in the full sun! If the world of alicia was the internet #halloweenmanis would be trending! With Halloween coming up next week there’s at least one thing we can do to be festive, put a costume on your nails! I’m a sucker for theme-ing out anything and that includes my mani’s! Check out last year’s versions here This year however I’ve been festive for the last week or so which means #halloweenmanis all week! Something super simple for October is black. Basic black actually is pretty chic so sporting it before Halloween is definitely a way to be festive but yet not over the top. 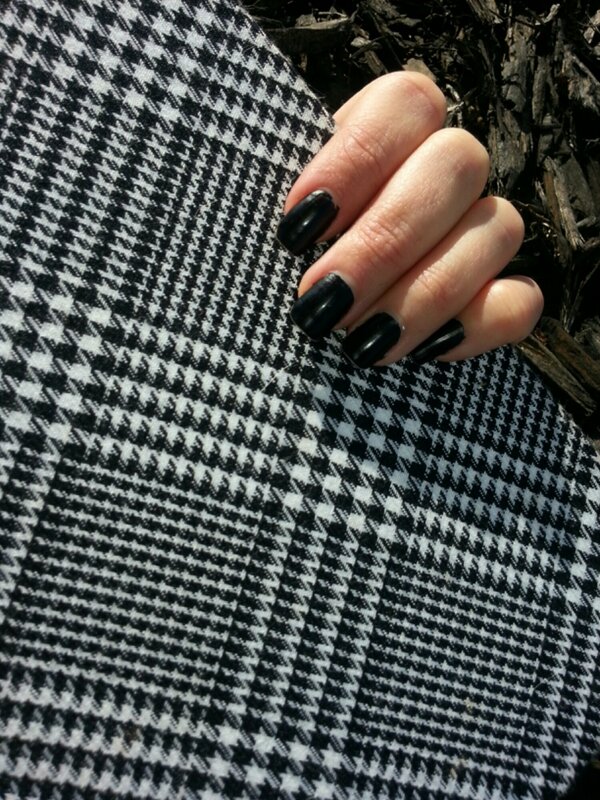 Something new to try this year is Black Vinyl by Julep. 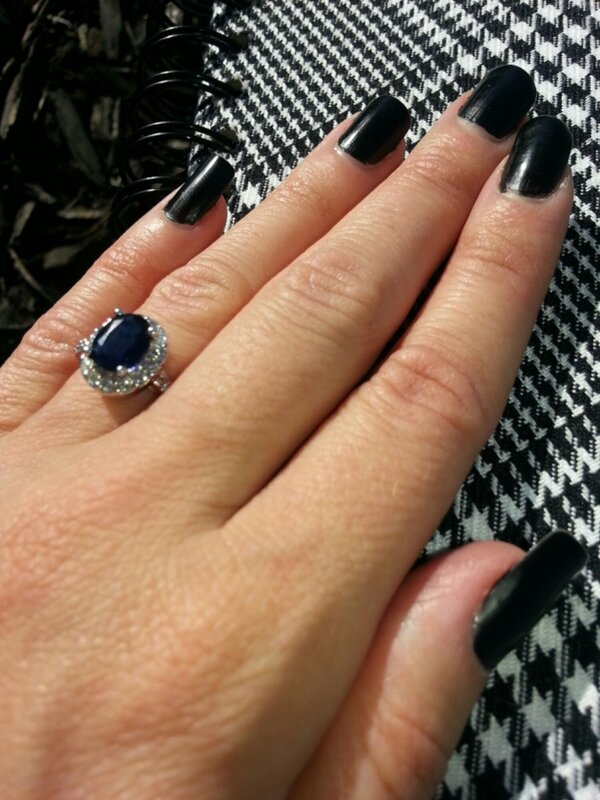 It has a different finish than your normal polish giving it the edge in the black nail polish department. And if you’re not a black nail polish wearer – now’s your chance! It’s Halloween anything goes! Let me just say that Julep is been on point lately! 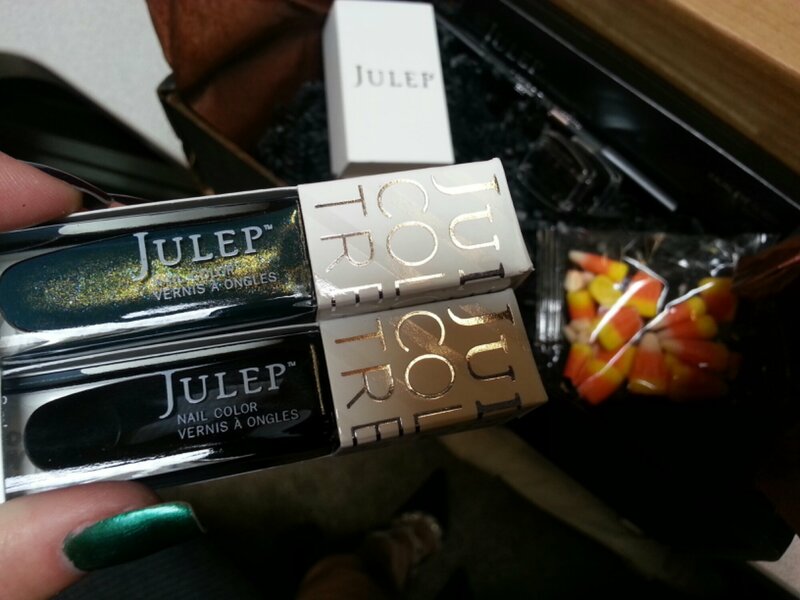 A little insight into Julep, every month the release a collection with a pairing suited for 5 different style types. The pairing is your maven monthly box and my type is Bombshell which like I said has been spot. on.!!! To get your own maven box sign up here (you can get it for only a penny! use code PENNY). Believe me you won’t be disappointed plus becoming a maven gets you additional discount, exclusives, promotions and free products! I’ll be highlighting my #halloweenmanis all week so check back for more nail costumes!!! I already introduced you to the limited edition Marrakesh beauty collection but I left out one major beauty component, the nail polish!!! Of course this is my favorite, the Nailed It Trend Marrakesh Mini Nail Lacquers. With nails being the hottest trend around, these gorgeous shades of Marrakesh take yours to an exotic new place! Saffron, a glistening warm gold, will add spice to your look while mint tea, a lush, shimmering green, warms up any ensemble. What I love the most about this duo set is they are mini’s, only 0.09 fl. oz. each so for a small price ($7) you get just enough to last you a season then on to the next trend. I HATE wasting polish and this is the perfect amount. AND in coordinating shades your mani pedi setup is already figured out or do what I did and wear the coordinating shades together. I wore the gold shade on my thumb, pointer and pinky then the green shade on my ring and middle then freehanded a stripe of gold on top of the green. The mini brush make it super easy.